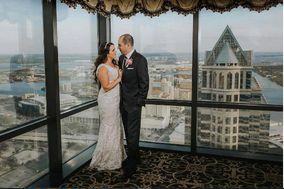 Waterfront destinations are front and center with Tampa wedding venues, thanks to the city’s perch on Tampa Bay. 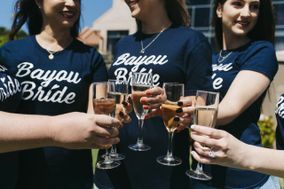 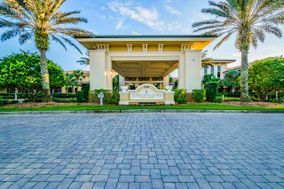 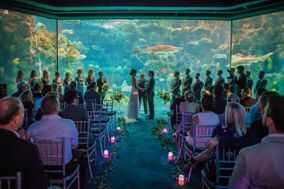 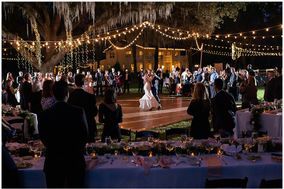 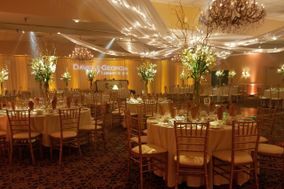 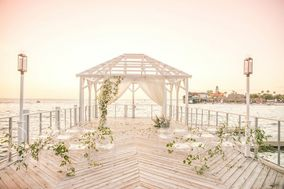 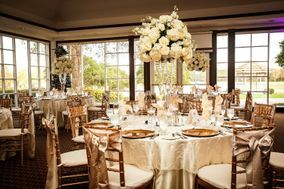 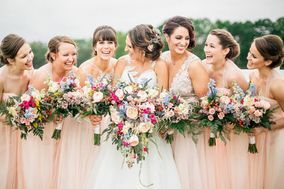 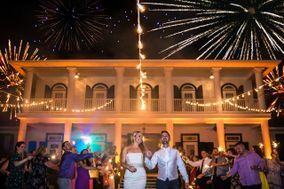 Whether you’re planning a destination wedding in this sizzling hot city or you’re a born-and-bred Floridian, there is no shortage of stunning Tampa wedding venues of all types to showcase the Sunshine State. 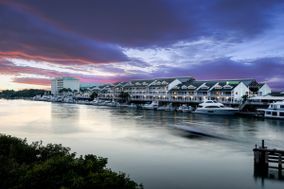 Located on the western coast of Florida, Tampa is known it's gorgeous beaches and rich culture. 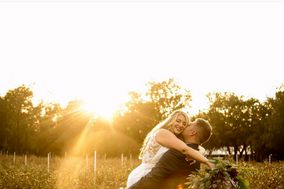 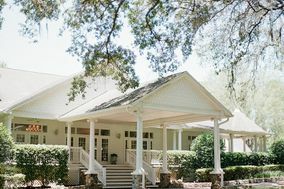 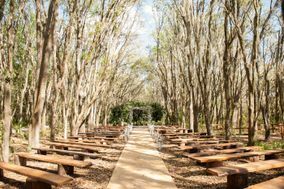 If you're looking for a place to hold a gorgeous destination wedding, or are a native of Florida just looking to spice things up, Tampa has a bunch of wedding venue options for every couple. 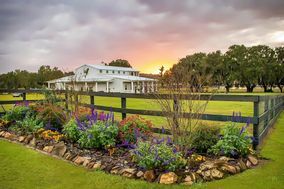 It's safe to say that Tampa is a destination dream. 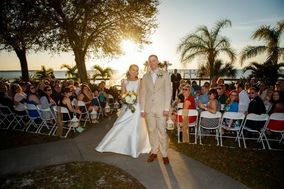 With some of the most beautiful beaches in the country and warm weather all year round, Tampa wedding venues are a wonderful escape from the rest of the country, especially during the winter. 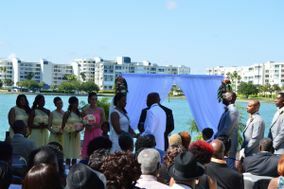 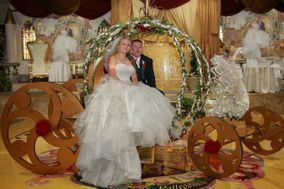 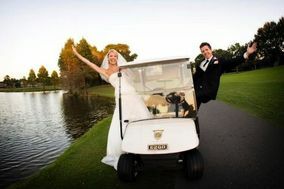 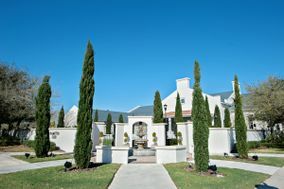 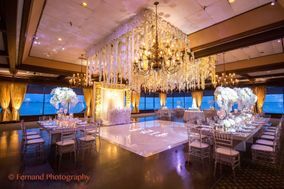 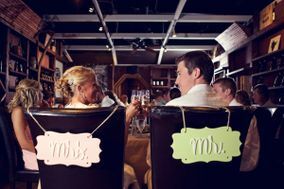 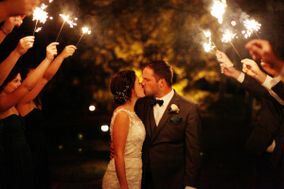 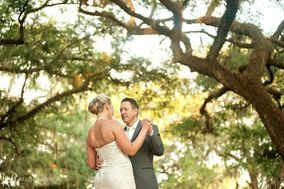 The most popular wedding locations in Tampa include: resorts, oceanfront venues, hotels, and golf courses/ country clubs. 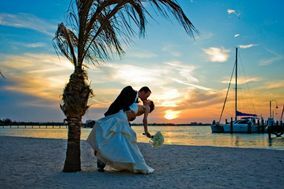 Resorts and hotels are the best wedding venues for destination weddings. 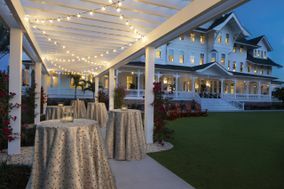 All your guests can stay in one place and enjoy activities throughout the weekend. 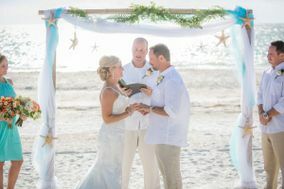 If you and your fiancé(e) are looking for the traditional beach wedding, oceanfront resorts tend to have both indoor and outdoor wedding locations for everything from the rehearsal dinner to the reception. 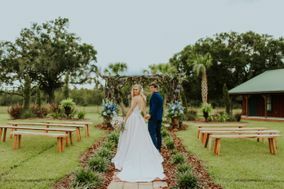 If Tampa isn't a destination for you and your fiancé(e), beachfront venues, golf courses, and country clubs are all great modern ceremony and reception venue options. 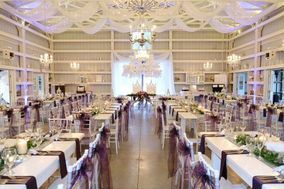 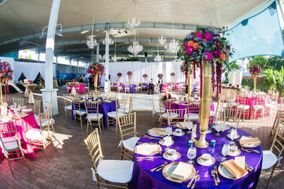 Since many wedding venues double as other types of event space, the sky's the limit with decorations. 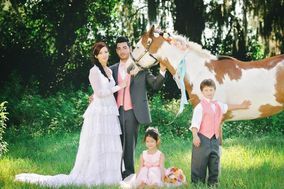 Maybe none of those are unique enough for you and your soon-to-be spouse. 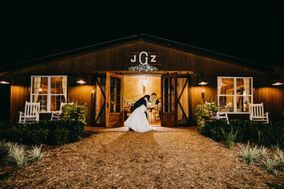 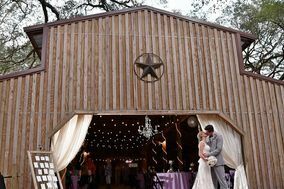 If you're looking for a wedding venue that's a little more out of the box, consider tying the knot at a farm (for a more rustic feel), museum, or aquarium. 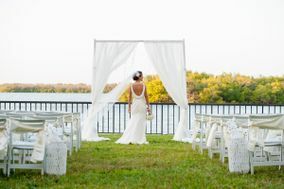 Guests will surely be wowed with whatever wedding location you choose. 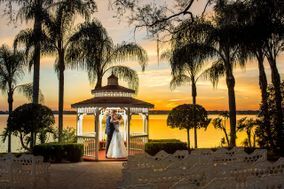 In regards to pricing, the average couple spends about $26,376 on their Tampa wedding. 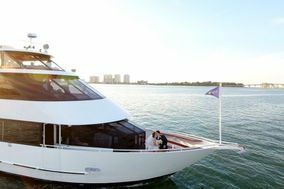 That's about $3,000 under the national average. 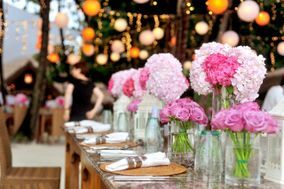 If your budget doesn't look exactly like the average, don't worry! 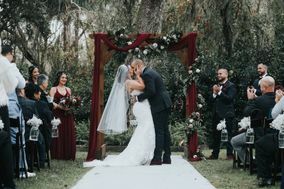 Each couple has a unique budget for their one-of-a-kind wedding. 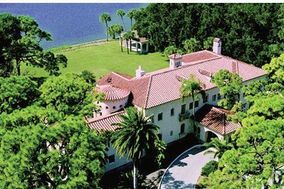 For out-of-town guests, there are a few ways to get into Tampa. 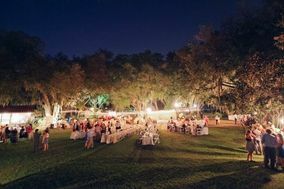 If any are close enough to drive, Routes 75 and 275 cut all the way through the city to St. Petersburg. 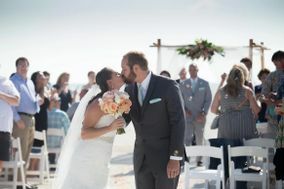 Though if you're hosting a destination wedding, guests can fly in to Tampa International Airport or Peter O. Knight Airport. 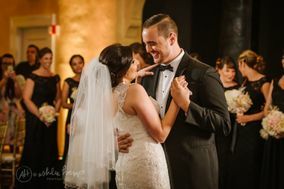 From Tampa International to wedding venues in the heart of the city, a drive will take about 15 minutes while a train will take about a half hour. 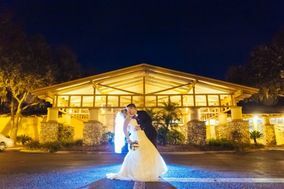 The Peter O. Knight airport is in the opposite direction but takes about the same amount of travel time to a downtown Tampa wedding venues. 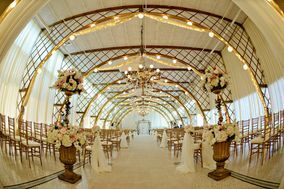 If your wedding venue is closer to St. Petersburg, it'll be faster for guests to fly into Tampa International. 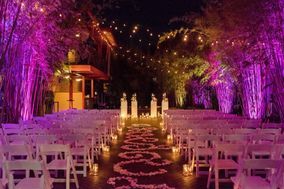 With out-of-town guests comes the need for hotel accommodations and we know not everyone wants to have a hotel or resort wedding venue. 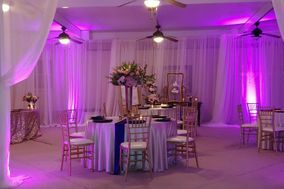 And finding affordable hotels, with enough rooms, that are close to your venue can be tricky. 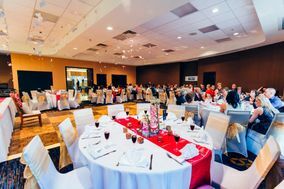 That's why you should check out this great wedding hotel block service. 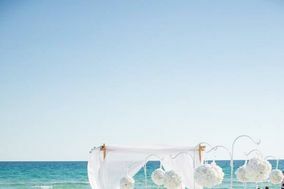 They do all the hard work of finding the hotels for the most affordable prices, all you have to do is decide which has the best fit! 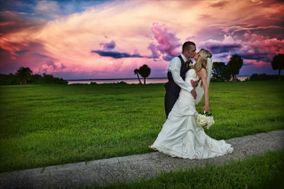 It's important to know about the local weather before planning a wedding, especially a destination wedding. 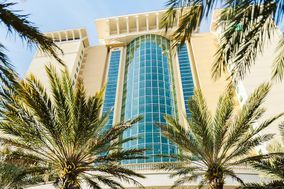 First things first, Tampa is one of the stormiest cities in the United States. 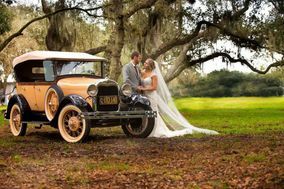 In fact, in July it rains 71% of the days. 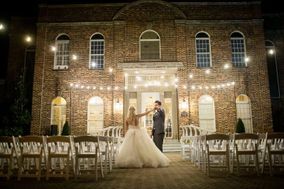 So if you're looking for a rain free wedding day, consider booking your wedding venue in the winter months. 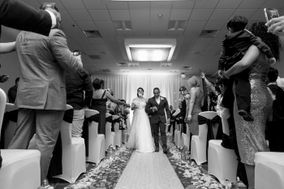 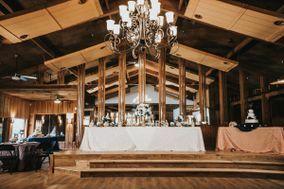 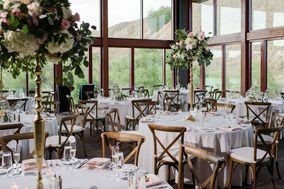 For spring and summer weddings, consider going with an indoor wedding locations or looking for a wedding venue that has several options for ceremony and reception venues. 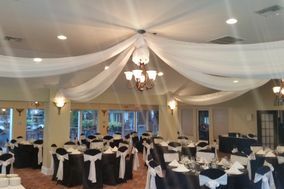 Then you have the ability to move indoors if the weather changes. 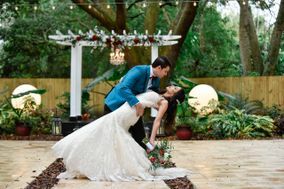 Just make sure to double check with the wedding venue staff about their inclement weather policies. 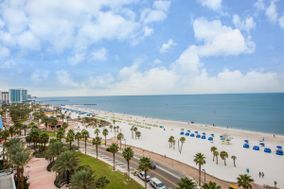 In Tampa, the warm season lasts from from the beginning of May to the beginning of October with daily high temperatures averaging above 86 degrees. 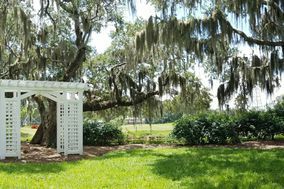 The hottest days can be expected at the end of July. 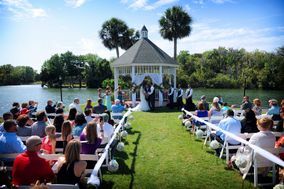 If you're planning a summer wedding in Tampa, make sure guests stay cool and hydrated. 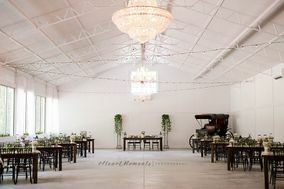 With the high chances of rain and humidity, indoor wedding venues are probably the best way to stay comfortable. 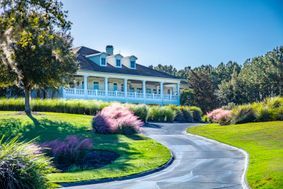 The cold season lasts from the beginning of December to the middle of January with daily high temperatures averaging below 73 degrees. 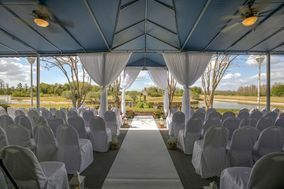 This beautiful weather and moderate temperatures are perfect for an outdoor wedding. 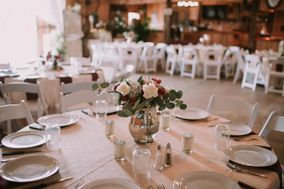 Keep in mind that it might be chilly for some guests, so watch the weather in the days and weeks leading up to the wedding and inform guests about the weather ahead of time. 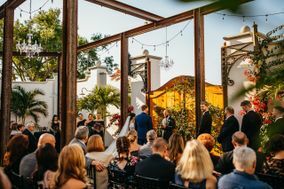 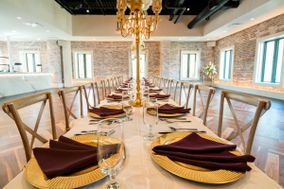 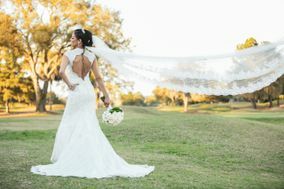 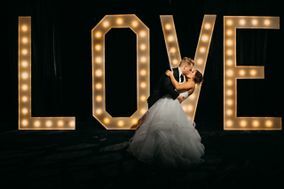 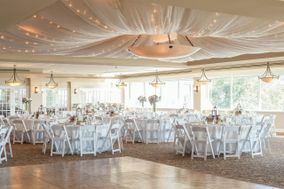 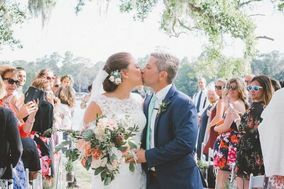 When you're ready to find the perfect wedding venue in Tampa, WeddingWire has all the tools you need to search and book all your wedding vendors.